When workplace involves chemical risks, the most concerned question is “ Can this protective clothing protect us from the specific chemical? “, such as Sulphuric Acid, Acetone, etc. However, for a professional safety consultant, it is not a simple YES or NO question. Consumers should check the chemical permeation test result of the technical data sheet offered from manufacturers. 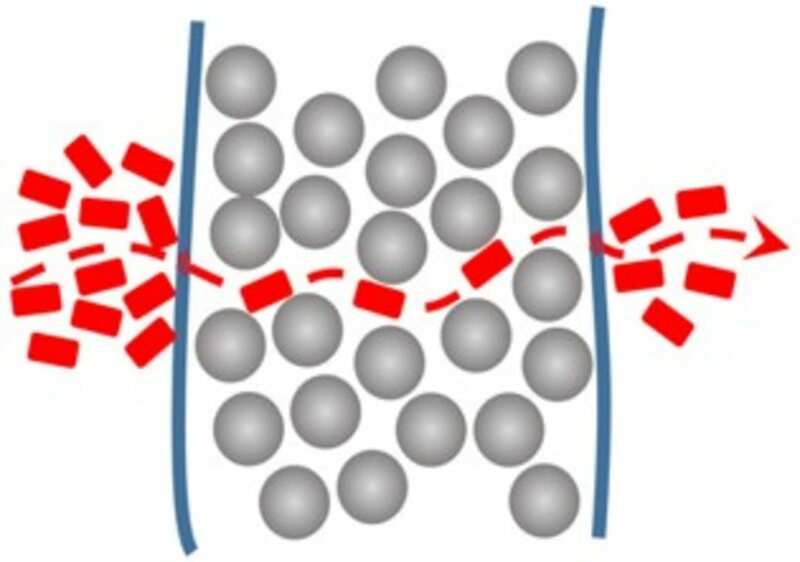 Permeation is the process when a potential hazard chemical passes through a material on a molecular diffusion. Although there aren't any holes visible to naked eyes, there are still possibilities for chemical molecules to permeate through the fabric. 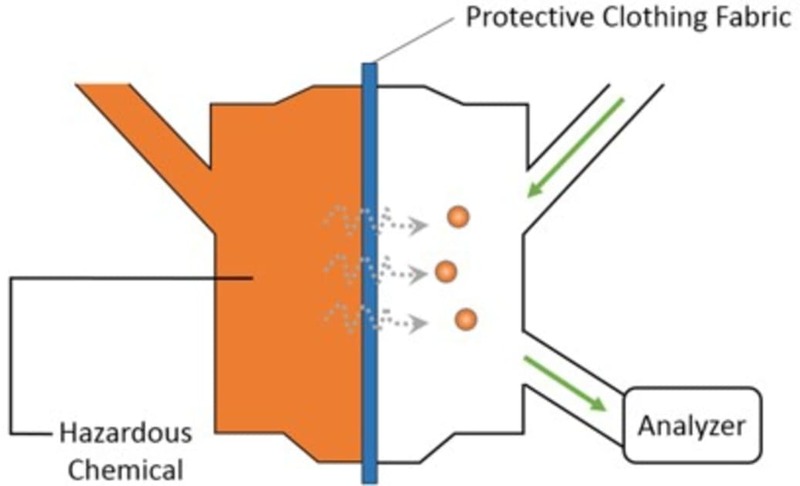 How to conduct the chemical permeation examination? 1. Put the sample protective clothing fabric between the testing chambers. 2. 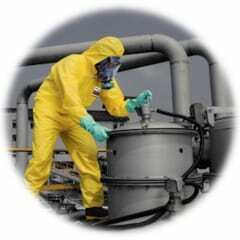 Expose the outer surface of the fabric to the hazardous chemical. 3. Start analyze the inner surface of the fabric to determine if any chemical passes through the fabric and the amount of chemical. *The exposure emulates total and constant of the immersion condition. 1.EN 374-3: 2003 record the lowest BT and specifies a normalized permeation rate of 1.0 µg / cm2 / min. 2.ISO 6529: 2001 (method A and B) specifies the mean BT to be reported at the normalized permeation rate of 1.0 µg/cm2/min or 0.1 µg/ cm2 / min. There are two crucial parameters on the technical data sheet, PR and BT. They help us to classify the protection level of the sample fabric. Permeation rate (PR) indicates the mass of the chemical in micrograms, which can be transferred through µg/cm2/min. 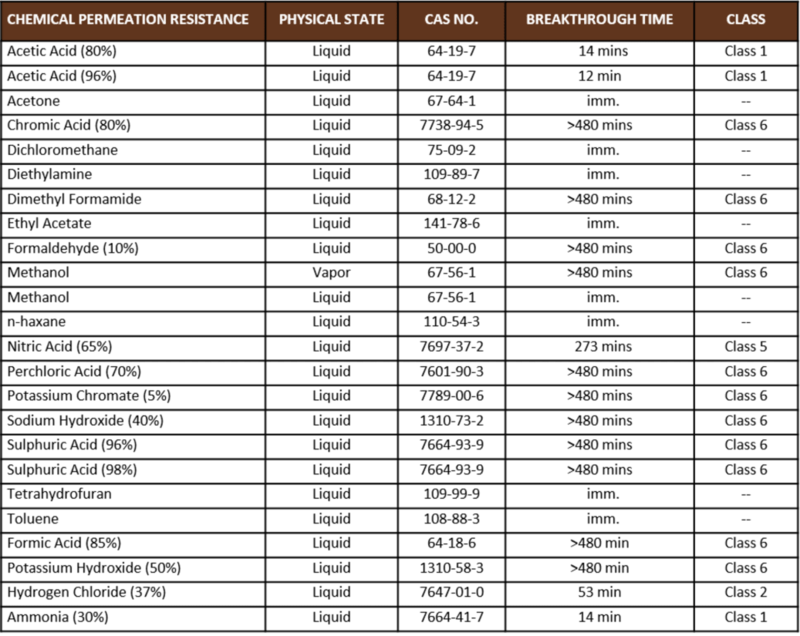 Breakthrough time (BT) is the elapsed time between first exposure of the fabric to chemical and the rate of permeation reaching a target value. When measured according to a standard method, the performance of the breakthrough time is a value by which different fabrics can be equitably compared. 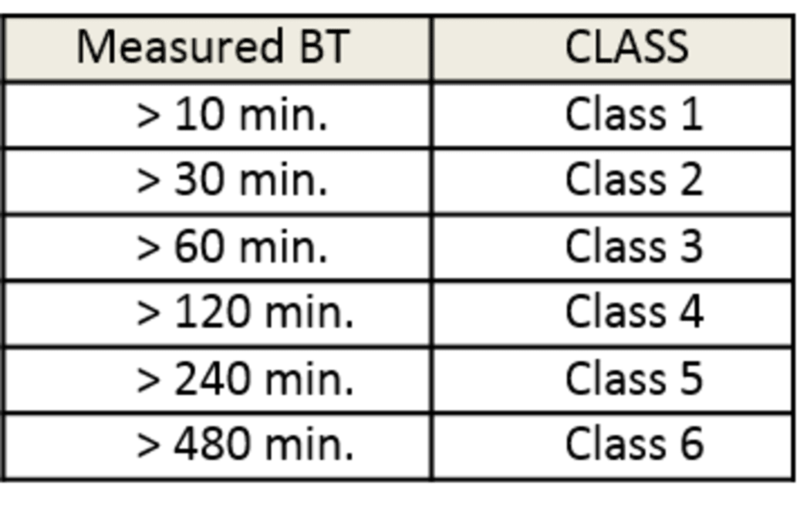 In Europe standard (as specified in EN 14325:2004) the result is classified into 6 classes based on the normalized breakthrough time(BT) is recorded at the permeation rate of 1.0µg/cm2/min.